Registration for the 2018-2019 school year is available online at https://www.myschoolsystems.com/ArchDBQ/DBQ032/. We’d love to have your help as Catechist teaching or assisting in the classroom. Please click here to request more information about joining the RE team! 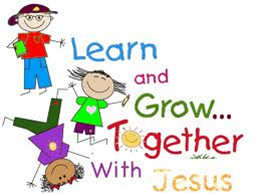 Kindergarten - 5th Grade Classes meet each Wednesday at either 4:45-5:45pm or 6:15-7:15 pm in St. Pius School, beginning in mid-September and ending in April. Using the curriculum, Call to Faith, Catechists work with children to strengthen their understanding of Catholicism trough learning, prayer, and social justice. The main focus of our RE program is to support the work parents do as the primary teachers of the faith. Middle School, grade 6 – 8 Classes meet from 6:15 - 7:15 pm Wednesday nights from mid-September to late February. The Call to Faith curriculum is presented around specific faith topics and works to broaden the faith understanding of this age group. All students are also encouraged to participate in the scheduled Middle School Youth Ministry Wednesday Nights which begin at 7:30 pm in the St. Pius Youth Room. High School students attend classes every other Wednesday evening from mid- September to late February. These teens are also encouraged to join other youth of the parish in Youth Ministry events.